ECONAR has been in the heat pump business for over 20 years. Their company has been providing geothermal heat pumps to residents and commercial entities all over the United States. The company is located in Minnesota, one of the coldest winter states. 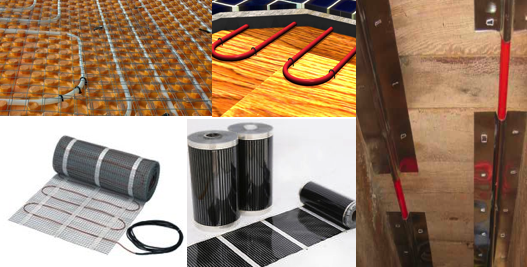 Their inventory consists of geothermal heat pumps installed with their own Cold Climate technology. This technology works by maximizing the energy savings from the warmer winter states without losing any of the comfort needed in colder states. These units are 100% safe and each system is tested and certified before leaving the factory. The ECONAR Systems are run on electricity which some believe is more cost effective than gas. One particular product in their inventory that is energy efficient and cost effective is the GeoSource 2000 Forced Air System. This gas furnace can help heat your home with reliability and durability. Let’s take a look and see why the unit can be a great addition to your home heating system. 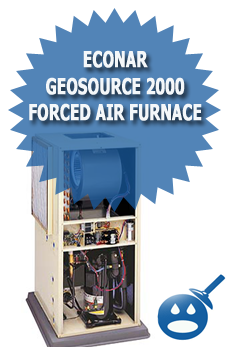 This GeoSource 2000 Forced Air System comes with some impressive features. This unit is equipped with a high-density heat exchanger. This heat exchanger is made with copper tubing in the aluminum fins. The system provides a high heating output for states with the coldest winters. The unit comes with electrical controls installed in the compressor that is started by an electronic freeze protection. The system comes with a one of a kind thermostatic expansion valve. This makes the system easier to diagnose if a problem arises. There is a factory installed water heat exchanger in the GeoSource 2000. This device offers a larger capacity copper coil that is resistant to rust and corrosion. The reason for this is that it allows the highest heat transfer making this unit cost effective and energy efficient. 2000 you can save between 25% to 35% on your home cooling and heating costs. This unit is energy efficient by many standards. One of these standards is the refrigerant, this system uses the R22. The filter and dryer system can provide a cleaner refrigeration circuit to help the unit run more efficiently. This system can be used on both Ground Loop and Ground Water Systems. If you are using on a Ground Loop System you will find about 10 different models. The Cooling BTU’s range from 16, 900 to 88,400 and the Heating BTU’s range from 16,500 to 91,700. The CFM’s range from 625 to 3,150. If you are using on a Ground Water System you will find a CFM range of 625 to 3,150. 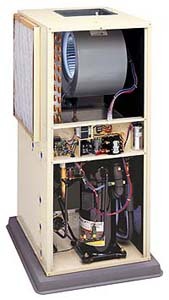 The Cooling BTU’s are 18,400 to 94, 400 and the Heating BTU’s range from 18,000 to 102,000. No matter which way you run your system from Ground Loop to Ground Water, you will find the GeoSource 2000 Forced Air System to be 100% safe and effective. You can now have peace of mind that your heating and cooling needs are being met. These units are tested over and over again to ensure high quality and high performance. If you are looking for a safe and efficient way to heat and cool your home check out the ECONAR website and click on the locate a dealer on the sidebar and find the nearest dealer in your area. You may find yourself with a new system. We have a geosource 2000 vertical unit. The filter size is 21 5/8 x 29 x 1. What filter can we use for it (MERV 8,11 or 13? And where can we find it? None of the stores carry that size.